Carol J. Larson - Author and Artist: Who Was Fredrika Bremer and Why Was a Minneapolis Elementary School Named For Her? Who Was Fredrika Bremer and Why Was a Minneapolis Elementary School Named For Her? 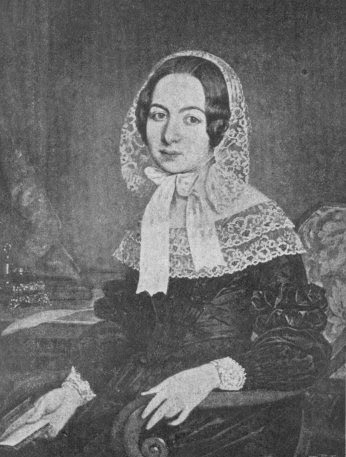 Fredrika Bremer (1801-1865) was a celebrated Swedish novelist often compared to Jane Austen, although her romantic novels are considered inferior to Miss Austen's today. But what was her connection to Minnesota and why did an elementary school in Minneapolis bear her name? In 1850, Fredrika visited the Scandinavian communities in Minneapolis and St. Paul. She was quoted as saying: "What a glorious new Scandinavia might not Minnesota become!" Her description of the journey, chronicled in the book "Homes of the New World" published in London in 1853, is considered one of the most important first hand accounts of Minnesota while it was still a territory. When she returned to Sweden, she became an advocate for women's rights. She believed “that women should, like men and together with them, be allowed to study at the elementary schools and academies, in order to gain an opportunity of obtaining suitable employments and situations in the service of the state. . ."
I don't know whether her Minnesota travel narratives, her novels, or her stance on education for women, or all three, was the ultimate reason a new elementary school built in 1887 in Minneapolis was named for her. Fredrika Bremer School was in service at 1214 Lowry Ave. N., for nearly 100 years. The castle-like Romanesque Revival building still stands today as residential condominiums.